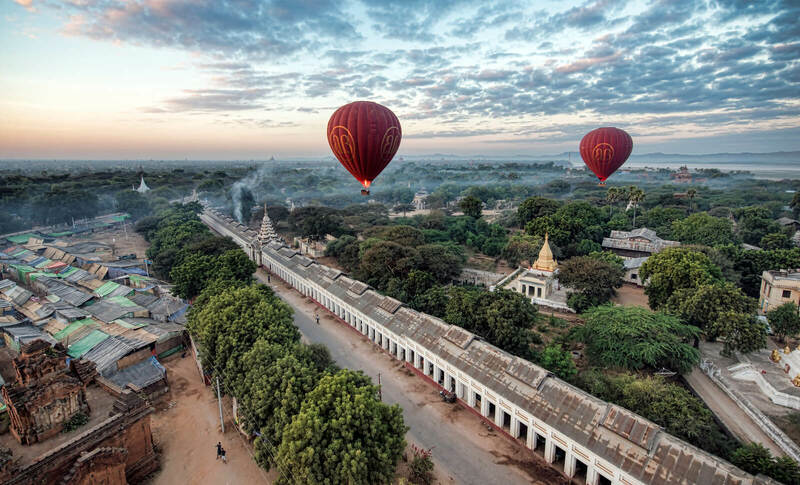 Enjoy a panorama of the ancient Bagan from hot air balloon. Savour a nice drink one landing at the starting point. 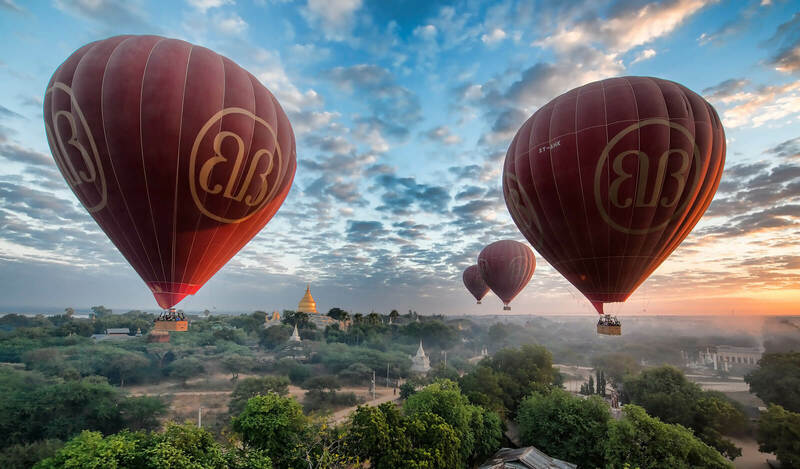 Hot air balloon over Bagan City is an amazing experience with travelers for Bagan sightseeing. 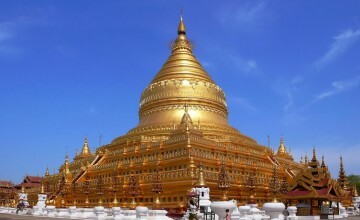 It is one of must-do activities and recommended for everyone who want to explore Bagan in a unique way. 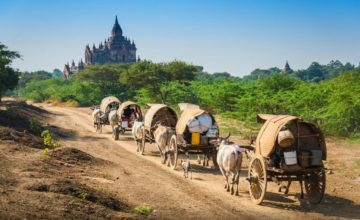 The amazing views of Bagan temples and countryside surprise all visitors and make the balloon over Bagan becoming worthy with everyone. 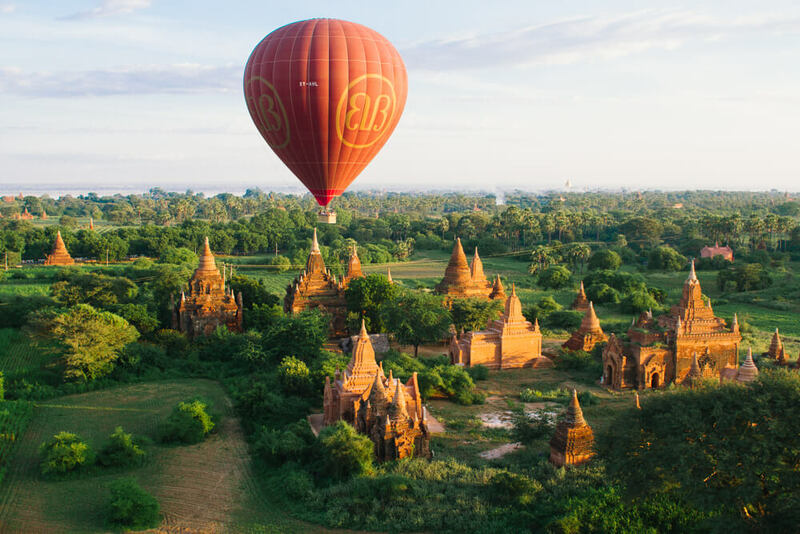 Flying over the unique Bagan area, you will be astounded and amazed by the beauty and diversity of the temples and stupas below you. 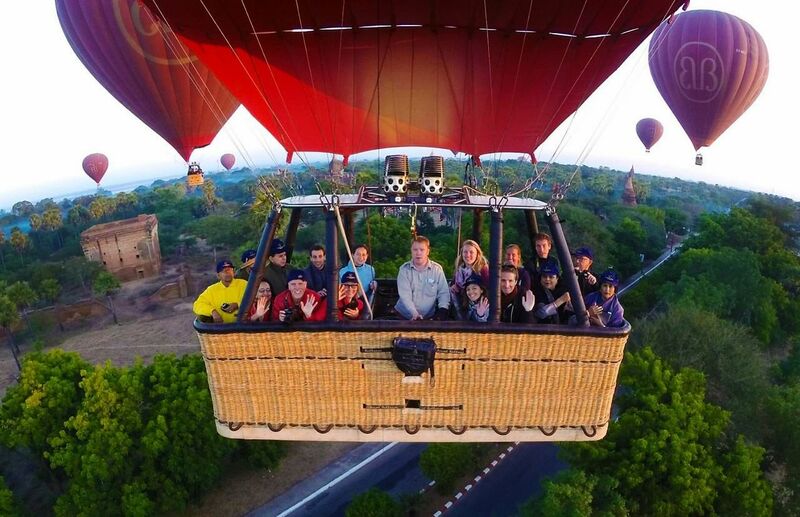 The following itinerary is an example of what you may experience with ballooning, but times and locations will be confirmed the night before your flight. 06.00 – 06.15: – You’ll meet your pilot, and enjoy pre-flight tea, coffee and pastries. You’ll be given a safety briefing. 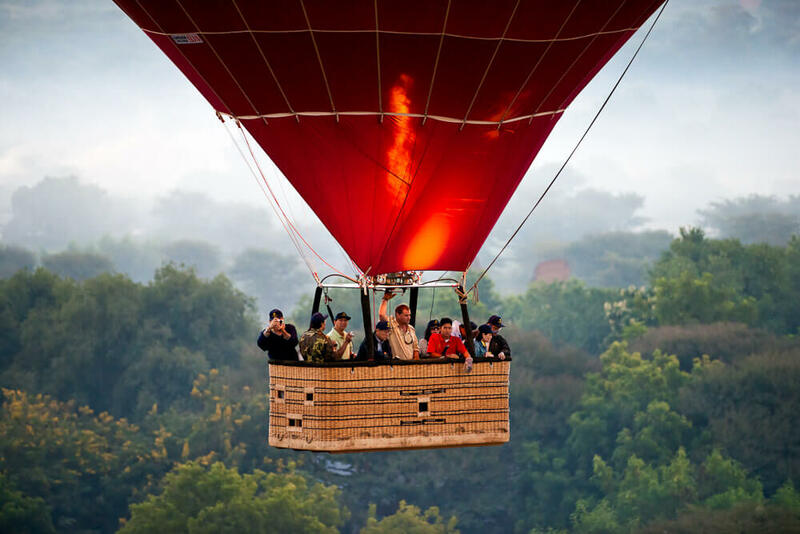 06.15 – 06.30: – Watch as the balloons are prepared by the trained crew and inflated by the experienced British pilots. 06.30 – 06.45: – All aboard! Climb into the basket and prepare for take off! 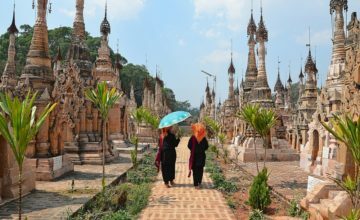 06.45 – 07.30: – Enjoy the amazing experience of floating over this amazing historical area with its temples, stupas and other beautiful sights. 07.30 – 08.00: – Celebrate your safe return to earth with a drink of chilled sparkling wine, served with fruit. Receive your personal flight certificate, signed by your pilot. 08.00 – 08.30: – Return to your hotel in time for breakfast. 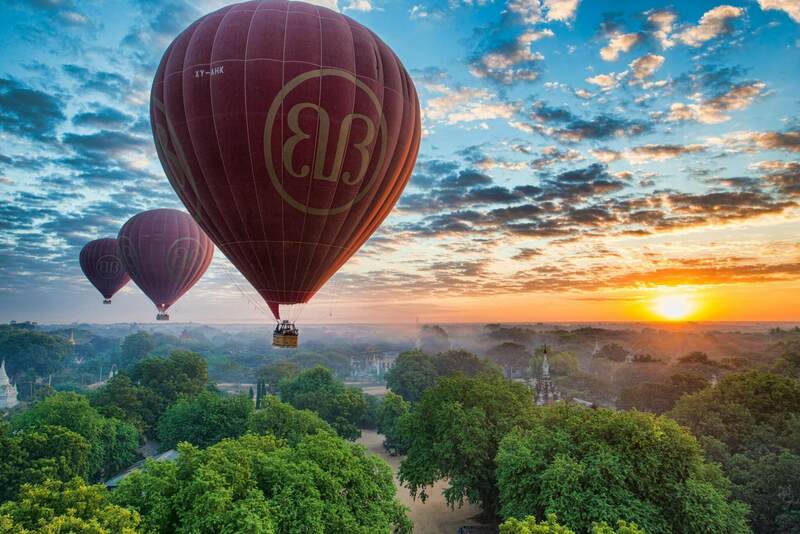 End of the Balloon Over Bagan Tour! 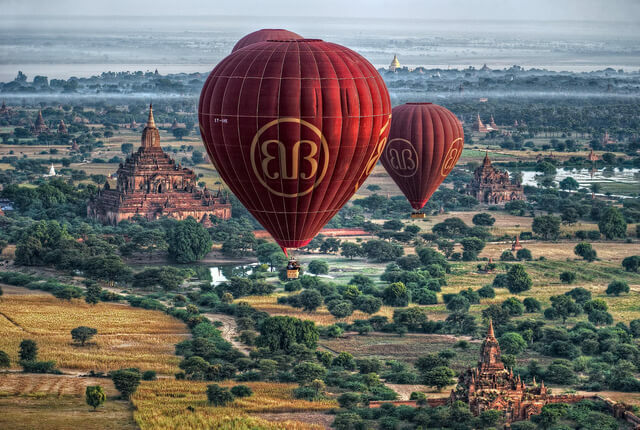 Thank you for your interest in Balloons Over Bagan Tour – Bagan Sightseeing from Bird’s Eye View. Please fill in your details below and we will contact you by phone or email within 24 hours.